Welcome to Costa Banana, a tropical island where the President thinks he’s a pop star and insists all citizens eat banana soup on Fridays. He’s strong, he’s unstoppable, he’s . . . So when the President’s kids discover a plot to overthrow their dad, of course he doesn’t believe them. With robotic spy flies, banana guns and a gruesome general to dodge, will Rosa and Fico be able to save the day? 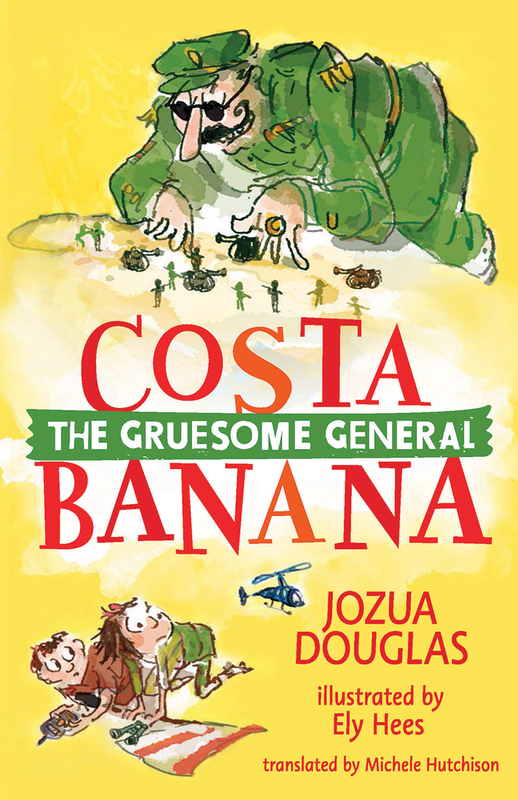 Jozua Douglas (born in 1977) worked for several years in Costa Banana as a secret agent for the Dutch government. A clumsy mistake with a drone resulted in his being unmasked and having to hotfoot it out of the country. These days he leads a boring existence as a children’s book writer. Jozua Douglas has written 27 children’s books. His books have been translated into 11 languages. Jozua’s books are banned in Costa Banana.